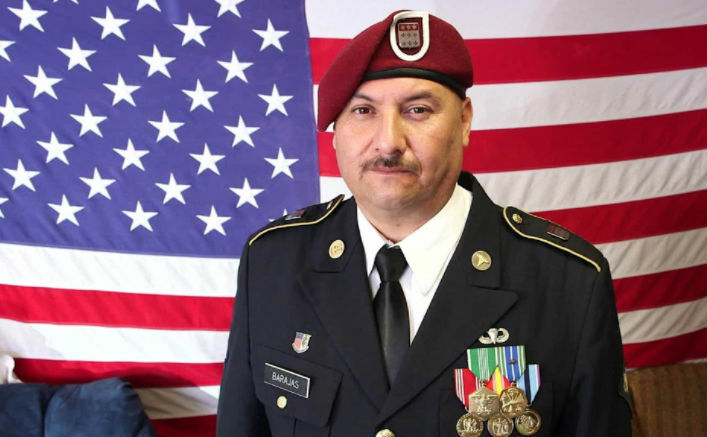 Deported Army veteran Hector Barajas, who has been living in Mexico for eight years, has been notified by the Department of Homeland Security that he is being granted U.S. citizenship. Barajas is scheduled to be sworn in as a citizen in a few weeks in San Diego. The decorated veteran, who served in the 82nd Airborne Division and received an honorable discharge, was granted a full pardon last year by Gov. Jerry Brown for a firearms conviction and two-year prison sentence that led to his deportation. “This is great! I’m going home, ma!” he said as he received the news on Thursday from Norma Chavez-Peterson, executive director of the ACLU Foundation of San Diego and Imperial Counties. He got the news in the headquarters of the Deported Veterans Support House he established in Tijuana. 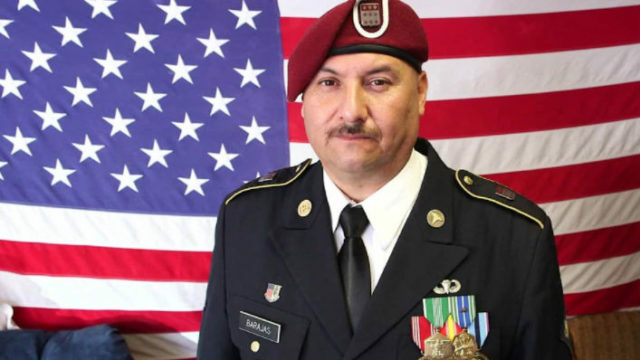 “Finally, after years of fighting for the rights of deported veterans to return to the U.S., Hector will be able to return home as an American citizen,” said Jennie Pasquarella, director of immigrants’ rights for the ACLU Foundations of California and one of Barajas’ attorneys. James Erselius of the law firm Latham & Watkins, which represented Barajas in his naturalization case, said the veteran’s citizenship gives hope to other others who were deported but are still seeking to come home. Barajas was born in Mexico but raised since he was seven in the Los Angeles area. In 1992, he became a lawful permanent resident and enlisted in the Army, believing that would make him a citizen.